Oh so good Lemon Bread Pudding with Lemon Curd. Sounds like a lot of lemon but it was really refreshing and delicious! These past 2 weeks have been crazy around my house. 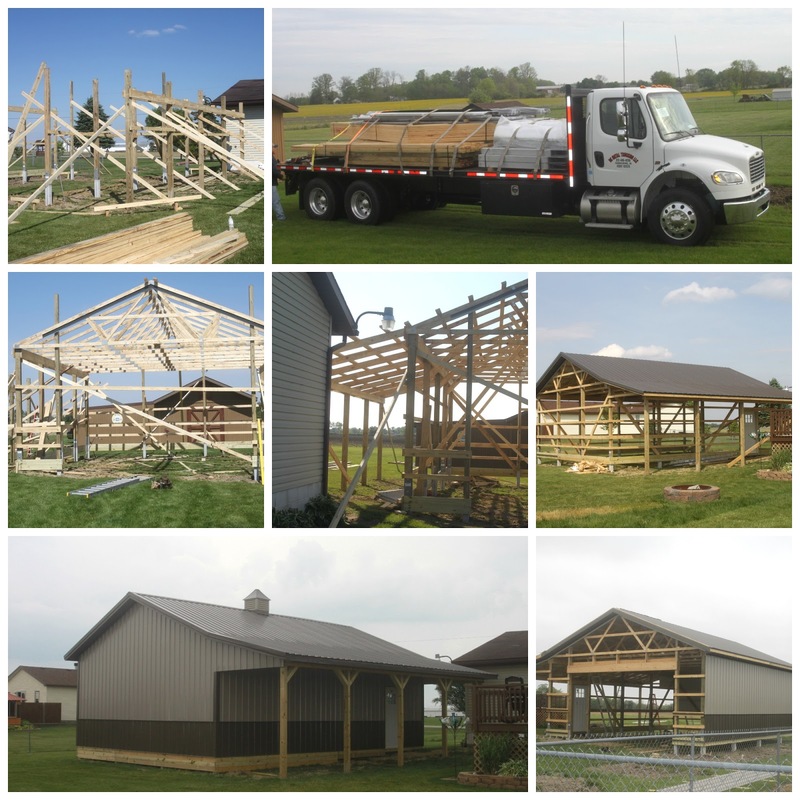 Bill was on call for his job, we had an Amish crew here building our new garage along with a sick dog which we ended up and had to have put to sleep last Saturday :( and Cally's graduation party. The garage is done and we are now moving the dirt up around the building before we call the county inspector back out. The cement should also be poured next week. Allstate has finally decided to cover our roof damage on the house and the new roof will be put on next week also. Lots of stuff happening around the Jones house. I did finally manage to make something new for the blog this week. When the Amish crew was here I was feeding them something for breakfast each morning. 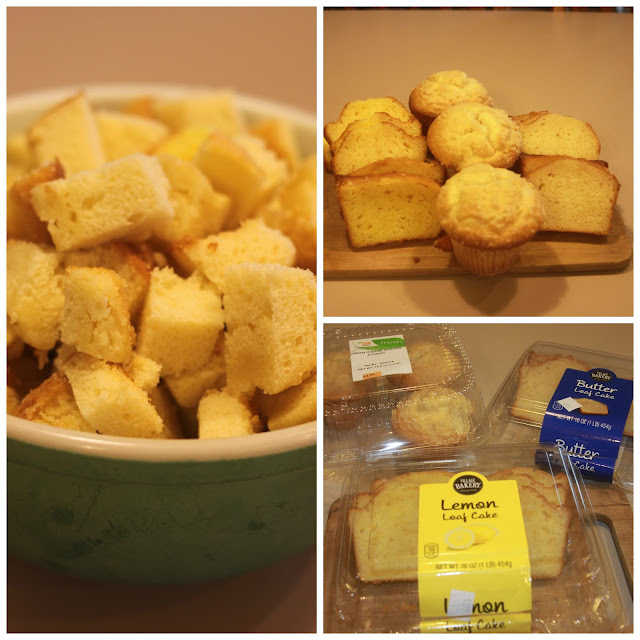 I had this left over lemon bread, butter bread and cream cheese muffins. Instead of throwing them away I decided I was going to try and make bread pudding with it. So since one of the flavors was already lemon and I had 2 bags of lemons in the refrigerator it was an easy decision to make it a Lemon Bread Pudding. Actually not a hard decision at all as you probably already know I LOVE LEMON! I did the same as I would do for regular bread pudding by starting with cubing up my bread. It turned out to be a nice yellow color too! To go along with the bread I thought a Lemon Curd would be nice. 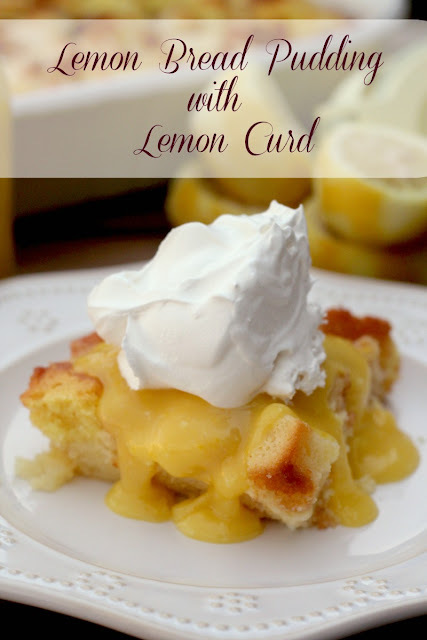 I was right, adding a dollop of Lemon Curd over top of the bread pudding was divine. Then add a dollop of cool whip on top of that and you are talking out of this world good! I had mine last night with the bread pudding still warm but today I had it with both the bread pudding and lemon curd cold out of the fridge and it was way better today than last night. Well I will get to this recipe because I got to get to bed so I can get up and work in the morning. It is nice to be able to work from home especially when you have to work on Saturday mornings. Spray a 9 x 13 baking dish with cooking spray. After bread is cubed put the bread into the pan, set aside. 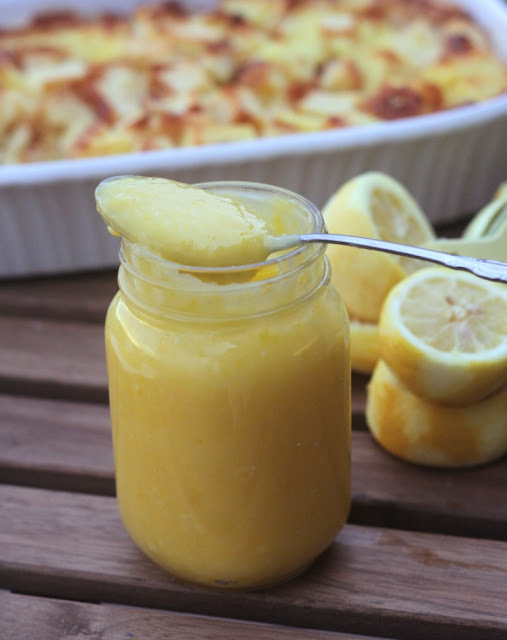 Mix together the milk, whipping cream, eggs, sugar, lemon juice and lemon zest. Stir until the sugar is dissolved. Pour the custard mixture over the cubed bread and let sit for about 10 minutes so the bread can soak up the custard mixture. 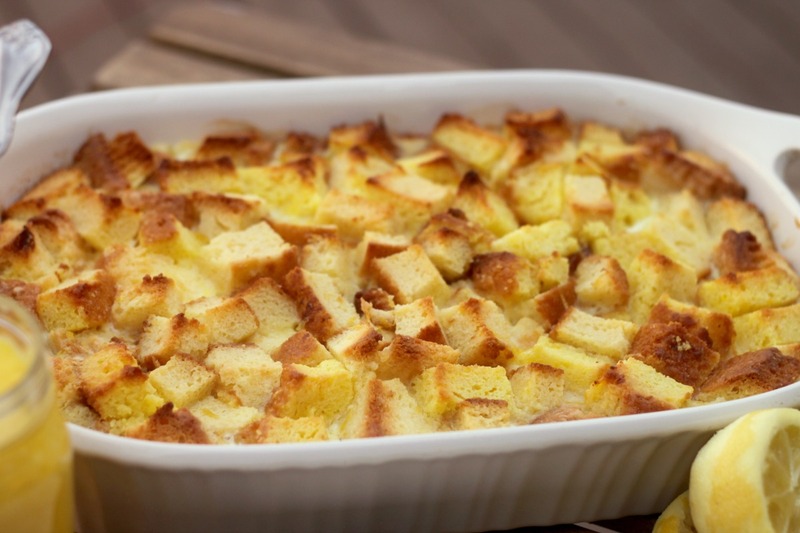 Bake bread pudding for 50 to 55 minutes. 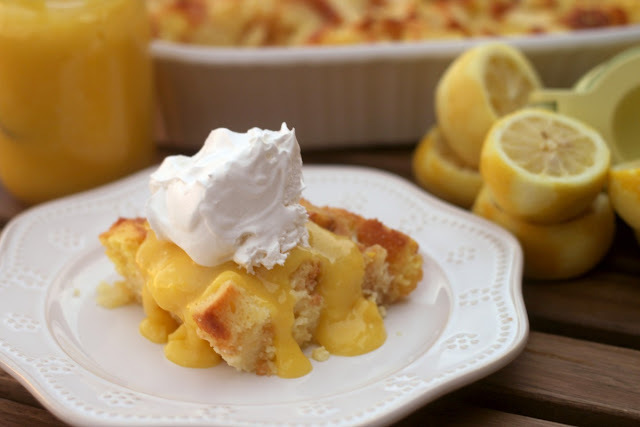 If desired pudding can be served warm with a spoonful of lemon curd and cool whip over the top or if you like your pudding cold place the pudding in the refrigerator until it is cold then serve with a spoonful of lemon curd and cool whip over the top....enjoy!